GREAT LOCATION!! Located on the busy Hwy 301/441 across the Jeep Dodge Chrysler Dealership with high visibility, close to everything. 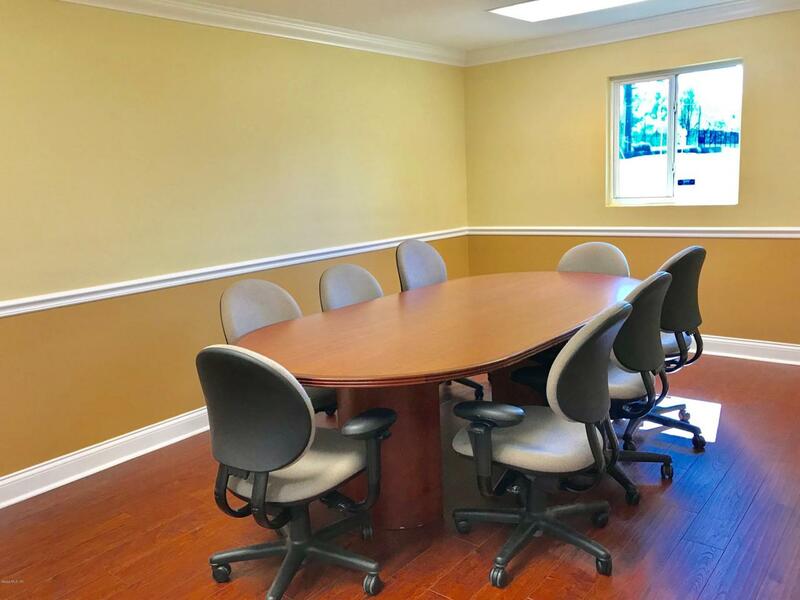 This office building is all you need: Featuring 5 offices, 1 reception area, 1 meeting room, kitchenette, 2 restrooms and big parking area with 15 spaces to accommodate all your customers. Plenty of property for your business. Newly remodelled, freshly painted inside and outside, new laminated floors, new doors and light fixtures. Bring your business, the office space is here! ALSO AVAILABLE FOR RENT. Listing provided courtesy of Paola Alarcon Rubio of Keller Williams Cornerstone Real Estate.